Links to Louisiana's pick-your-own farms for everything from apples, berries, fruit, pumpkins, vegetables to cut-you-own xmas trees! The berries are priced by the gallon, we furnish the gallon buckets for picking and bags for transport home. Clean restroom facilities are located on the premises. Additionally, picnic area is available at no additional charge. We would like to introduce our new U-Pick Muscadine Grapes. 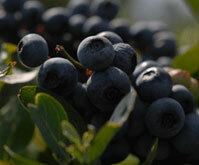 U-PICK BLUEBERRIES Here at Heather Oaks Farm we offer our customers the opportunity to pick there own blueberries. U-PICK BLACKBERRIES We have thornless blackberries so you can enjoy picking and sampling blackberries without injury. Family owned - Offers a "very sweet" experience for family, friends, and people of all ages to enjoy. The orchard's fifteen hundred organically grown and cultivated blueberry bushes are over thirty years old, and located across two acres in the beautiful countryside of Ethel, Louisiana. U-Pick'em is a great way for you and your family to get the freshest bell peppers, yellow and green squash/zucchini, roma tomatoes, grape tomatoes, eggplant and strawberries, all while getting educated on how produce gets from the farm to your local grocery store. We are currently not open to public for U-picking because it is the off season for produce. We are now preparing for a fall U-Pick of sunflowers, pumpkins of all sizes and Indian Corn. There will also be a corn maze. The largest blueberry farm in all of Louisiana! Located in Desoto Parish just a mile South of Gloster, Hillcrest Blueberry Farm is a family owned farm offering u-pick and we-pick berries. We have 77 acres of producing bushes and have recently added another 62 acres of blueberry bushes to expand our production.